Star Wars: The Force Awakens is nearly here and Disney Publishing Worldwide and Lucasfilm have put together a publishing schedule of tie-in stories in the lead up to its release – The Book Smugglers will been reading all of those. Yesterday, Thea posted her review of the graphic novel The Shattered Empire. Today, I take a look at two novels: Smuggler’s Run: A Han Solo Adventureand The Weapon of a Jedi: A Luke Skywalker Adventure. 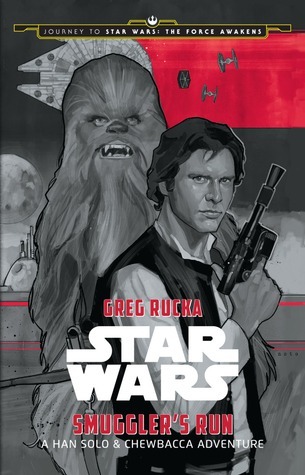 Smuggler’s Run: A Han Solo Adventure by Greg Rucka, The Weapon of a Jedi: A Luke Skywalker Adventure by Jason Fry and Moving Target: A Princess Leia Adventure by Cecil Castellucci and Jason Fry (all have illustrations by Phil Noto) are a YA trilogy that have been written with a dual purpose: to elaborate on the events of the original Star Wars trilogy and to serve as connecting points to the upcoming movie as they are supposed to offer sneaky spoilers for The Force Awakens. All three novels have the same set-up: a prologue and an epilogue with a famous character from the original trilogy narrating each story from the future, at the time of The Force Awakens. The Luke Adventure is narrated by Future!C-3PO as he recounts a story about Master Luke to a newbie pilot; The Han Solo Adventure is narrated by Future!Han and the Leia Adventure is narrated by Future!Leia or rather, General Leia as she narrates her autobiography. The Weapon of a Jedi ( Disney Lucasfilm Press, September 2015, 192 pages) opens in the future with a character named Jessika Pava who is working with astromechs when C-3PO starts chatting with her. When she realises that he is THE C-3PO of legend, she asks him to tell a story about Luke Skywalker and Threepio obliges. The fact that Jessika is both excited and awed to learn who this droid is reinforces the idea that our favourite characters have become legendary in the future but in a sort of distant, mythological way. The tale itself takes place between Episodes IV and V of the original trilogy. Luke is still reeling from the successful destruction of the Death Star #1 and mourning the death of Obi Wan. He is also worried about his training as a Jedi and the lack of a mentor. While on a new mission, Luke feels the Force telling him to go to a mysterious planet where eventually finds the remains of an old Jedi Temple where learns to control the Force (and thereby clarifying how he was able to use the Force before even meeting Yoda in The Empire Strikes Back). 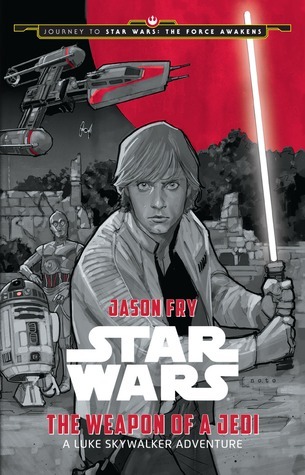 The Weapon of a Jedi was a fun read even though I don’t find Luke, as a character, particularly interesting (so sorry, Star Wars, your poster boy is my least favourite). Here we see a bit more of Luke’s training but in a way that contextualises the loss and the death of the Jedi order too. His visit to the crumbing remains of the Temple of Eedit is both exciting and heartbreaking. In this story we also meet two characters: a mysterious alien named Sarco Plank aka “The Scavenger” who turns out to be a villain as well as a fun teen sidekick named Farnay who helps Luke out (who by the way, was probably my favourite thing about the novel). We know Sarco Plank comes back in The Force Awakens and I would love to see Farnay too. Since they are both scavengers just like the new character, Rey, played by Daisy Ridley, I wonder if there is a connection. Is this where Han is taking the new Jedi to train just like Luke before him? We shall see. Smugglers’ Run (Disney Lucasfilm Press, September 2015, 183 pages) is like Luke’s book, set between A New Hope and The Empire Strikes Back. 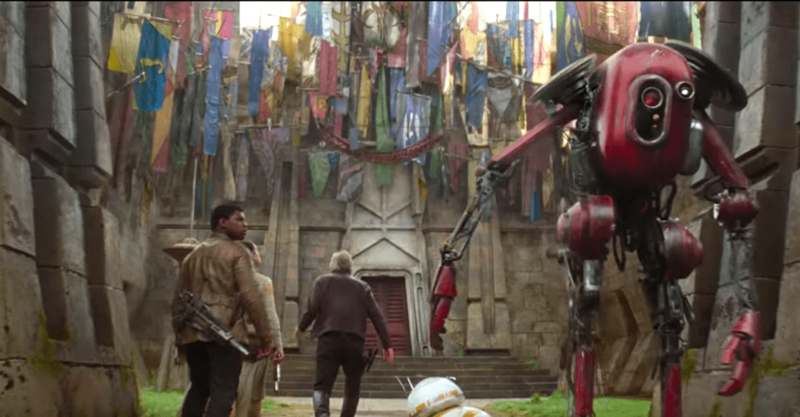 It’s again bookended by characters in the timeline of The Force Awakens. Old Man Han Solo is at a spaceship bar (which I HOPE SO MUCH will make an appearance in the new movie because it sounds so cool) telling a story to a bunch of young people about the best ship in the universe, The Millennium Falcon. It is totally a Han Solo thing to do. The adventure he recounts takes place after the Death Star has been destroyed when Han was undecided about joining the Rebel Alliance. He still owes money to Jabba the Hut and needs to go pay his debt but Princess Leia wants to send him on a mission with Chewie. The mission is to rescue of one of the Alliance’s leaders, a certain Lieutenant Ematt – who is also billed in The Force Awakens– and take him to safety while simultaneously fleeing the Empire and the bounty hunters sent by Jabba. Three things stand out in this one. It has a lot of fun action and adventure. 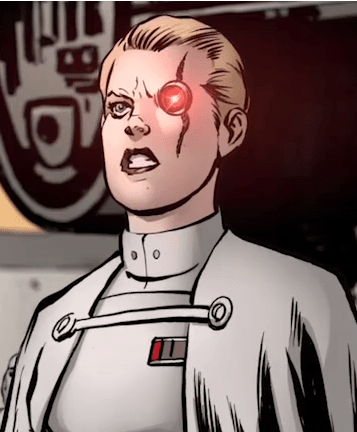 The narrative has a viewpoint of an Imperial villain – a Commander Alicia Beck, who is determined and badass and I’d love to see her return in the new movie. What I loved the most about this one though is the deft exploration of Chewie and Han’s friendship and the easiness in which they not only converse but deeply understand each other. Above all, I loved how Chewie is clearly not only the moral compass of the duo but also the trustworthy one who ensures that they get jobs. If Han was on its own, he would SO not be getting jobs as a smuggler. This is also Han Solo still as the rapscallion rake with no connections or loyalty, and his feelings for Princess Leia are only fledging. These two stories have the questionable honour of being my first ever piece of Star Wars tie-in fiction and overall I enjoyed these two books a great deal. I will give them both a rating of 7 – Very Good. Come back tomorrow as we review the third YA novel Moving Target: a Princess Leia Adventure by Cecil Castellucci and Jason Fry. This? Was excellent. I came over from twitter, where I saw you were talking about Smugglers Run and Star Wars, with the mental picture of the two of you doing some Starwarsian Turkey Trot, bounding with light sabers etc…..oh well. Books are good too.